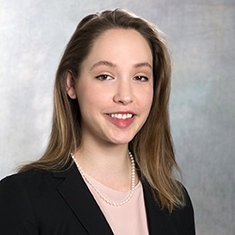 Michaela Holcombe is an associate in the Litigation practice. While in law school, Michaela was a merit scholarship recipient and served on the North Carolina Law Review. Shown below is a selection of Michaela’s engagements.